You can get homesick just thinking of those days. We found a little cove on the west coast of Whidbey, where the road slid down a hillside into a tiny park. Walking out onto the rocky beach we could watch the birds skimming the smooth sea. 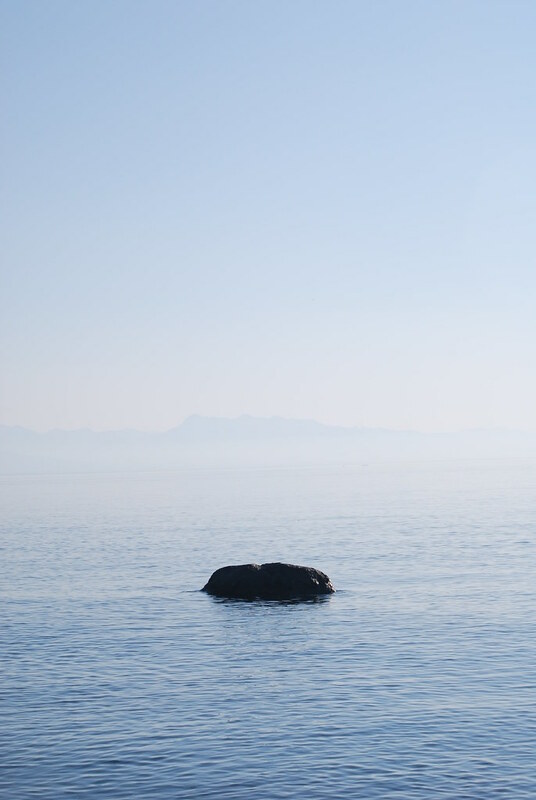 A small rock sat with ripples lapping its tiny shore, an echo of the island, an echo of the distant Olympic Mountains.